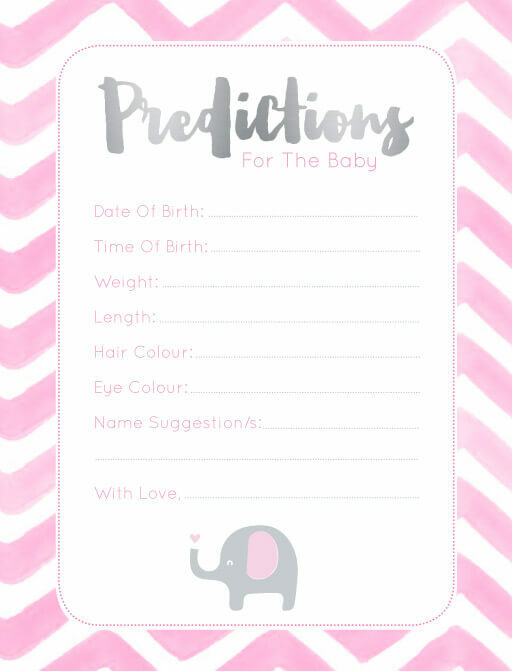 This stunning Elephant Baby Games collection by Australian designer Brynie Ladds draws influence from watercoloured chevron background with a gorgeous baby elephant. 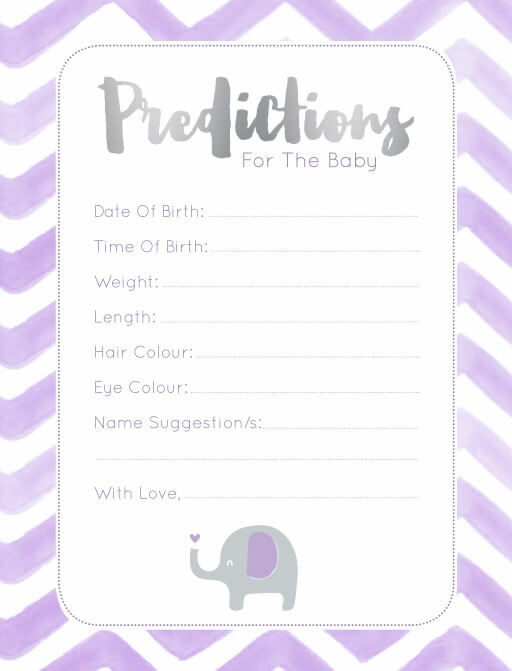 this design has a selection of 4 colours: pink, purple, mint & yellow and would fit perfectly for those seeking a baby styled design. 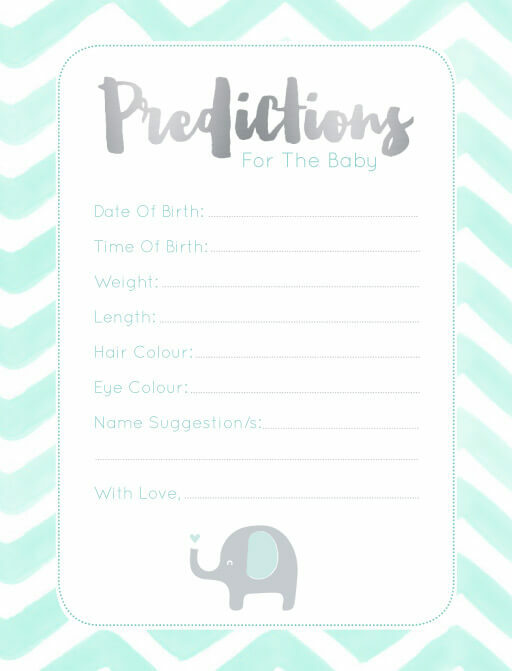 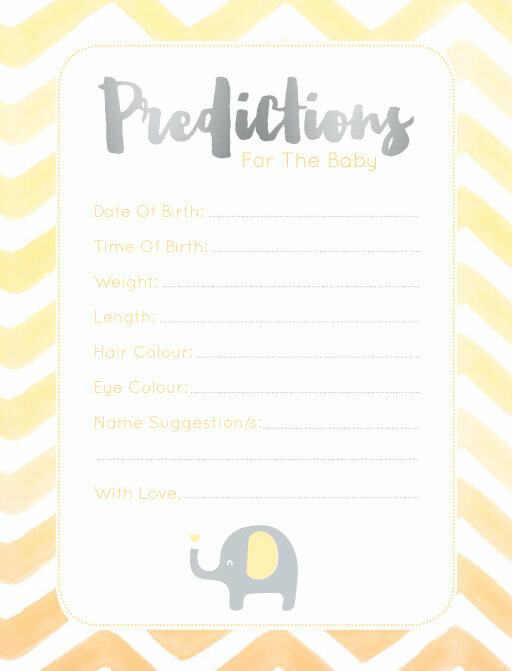 This Baby Shower Games card from the sophisticated Elephant Baby Games design collection looks fantastic when printed using Metallic technique and when it comes to stocks, we think it looks best on Paperlust 300 GSM Matte.